So we had 100 people booked for Connecting HR last night, and I’d guess 60 or 70 at the event – not bad given the rain. My photos are available here. Next event possibly 24 June (let us know if you’ll be watching one of the matches –not including the UK) – or possibly before / after the footy’s out of the way. Booking will be up soon. And I’ll share the plan for that with you shortly too. Tonight’s Talking HR show focused on the future of the Learning & Development function. Krishna and I spoke to Debbie Carter from Training Journal (TJ) about their L&D 2020 research. Krishna also spoke about the CIPD Ireland social media conference she attended today (including social recruiting case studies from SAB Miller and Oracle). I’ve already posted on Justmeans’ Social Media & Stakeholder Engagement conference this week. Justmeans main focus is on sustainable business practice, and although the focus of this conference was a bit broader, this meant that the bulk of the people there were from CSR-type fields. Using sustainability to engage employees…. Social responsibility provides an increasingly important basis for employee engagement (mojo) and enables more open, authentic conversations through social media. Perhaps more organisations do need to focus on what might be called ‘social engagement’, with a particular focus on appealing to employees’ natural demand to bond. Although the meaning of ‘social’ may be different in each of these areas, I think many issues that relate to one of these optics relate to them all. For example, in his presentation, Bjorn Edlund ex-Shell referred to the social (responsible) competence of managers being lacking. I think this refers to their competence in social media, and social engagement as well. I thought one of the most interesting presentations at JustMeans’ Social Media & Stakeholder Engagement that I participated in this week was given by Tim Johns, VP Corporate Communication at Unilever (see my Social Advantage post). 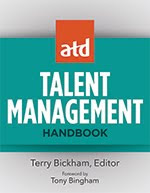 Tim obviously knows what will make a good line – his quote "the dead hand of HR has killed employee engagement” was quickly tweeted and retweeted. But there’s obviously more to this than a good quote. HR does still provide a ‘dead hand’ to many issues in many organisation. In Unilever, they have therefore separate the pay and rations / propaganda type of communication from the other bit, focused on education, information and Reithian principles. I think this is an issue that needs to be confronted. I’m surprised how often HR practitioners seem to be proud of their abilities to recognise the need to dress up something they’re developing as ‘something owned by the business, not an HR initiative’. Yes, of course, I understand the need. But at some point, they need to address the fundamental problem too. Get HR’s positioning right, and ensure it’s doing the right things, then HR’s involvement shouldn’t mean the kiss of death (is this a mixed metaphor or not?). And Tim’s right, the dead hand is particularly prevalent in relation to social media. And then the following Monday (29th), we’ve got the UK’s first HR tweet-up. We’ve got just over 80 people booked – all of whom (I presume) are motivated to avoid the dead hand falling in their organisation. What are you doing in yours? 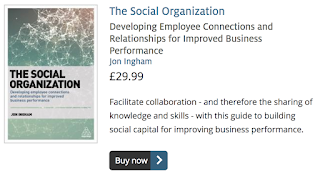 “Organisations have always been social places but the importance of the social relationships between people working in an organisation (social capital) often hasn't been considered. One reason for this is that we've had little opportunity to manage or even influence these relationships. This situation has now changed. The development of web 2.0 and social networking tools has radically transformed our ability to influence the way that peoples' relationships work. Much of this change is being driven by IT under the title of Enterprise 2.0 (the use of web 2.0 tools within the enterprise). More recently, people have been talking about the Social Business in an attempt to move the debate off the technology and onto the environment that these tools can help create. This shift gives HR an enormous new opportunity to be at the centre of what is potentially the biggest change impacting organisations right now (this isn't just my view - it's the belief of many leadings CEOs such as John Chambers at Cisco). Even from a technology perspective, the biggest challenge moving to Enterprise 2.0 is in culture change. But the Social Business needs our skills in HR and management processes, organisation design and communication too. You’ll find more details at the HR Society site. Having been focused on other things for a few days, I’ve spent a lot of today catching up on social media and in particular, the UK HR tweet-up we’ve planned on 29th March. I posted previously that Gareth Jones and I were being quite strict on admitting suppliers (including consultants) to the event. This is largely as a result of experience attending the London Recruitment tweet-up recently, which was great fun, but very full of other suppliers. I think what unfortunately tends to happen is that once it becomes clear that an event like this is going to be attended predominantly by suppliers, it becomes less likely that HR / Resourcing / other people working inside companies will attend. I’ve got nothing against other suppliers, and no problem attending an event with other suppliers either. But I do think that to make the event as valuable as possible, to suppliers and in-company practitioners alike, I think we need to ensure a high proportion of internal people are there. So for this event, I tried to set things up quite carefully, stating that we wanted all suppliers booking to be experienced users of Twitter and to identify at least one internal HR person that they would bring along. I also contacted some of the key people in HR social media, and a handful of in-company people that use it, encouraging them to sign-up before openly announcing the event – my hope being that this would lead to a broad variety of people booking from that point. Once we had these bookings in place, we announced the event but without gaining the desire effect, as about 20 suppliers and no internal people signed up during the next day. Given our desire to keep some sort of balance in numbers, I then had to close the event for further bookings by suppliers. Despite this, we’ve continued to get new suppliers booking, meaning that I’ve had to cancel quite a lot of bookings – first of all suppliers who aren’t using Twitter; secondly, suppliers who don’t have any internal people to bring along; and thirdly suppliers who have continued booking after the booking’s been closed. It’s not been fun, and I’ve clearly offended a small number of people (fortunately most of the people I’ve contacted do seem to understand my predicament). So, what would (hopefully, will) I do differently next time? I think more than anything, I’d set up separate ticket categories for internal practitioners and suppliers. I didn’t do this because I wanted to avoid any unnecessary separation, but of course as it’s turned out, I’ve just ended up emphasising the different roles anyway. And if I could, I’d try to help more internal people appreciate the value of networking, regardless of the roles of the people they’re networking with. What else? - I’d value your ideas…. Workforce planning: the appliance of science? I’m quoted in an article called ‘The Appliance of Science’ in this month’s Human Resources magazine (UK version). I think not as well (regardless of what I might have said about companies losing their chances). But I do believe it’s the ‘bit before’ that’s most important now. And this is art, not science. 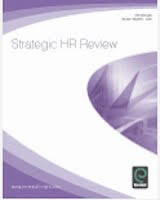 Readers in the UK may be interested in the Human Capital Institute’s Strategic Workforce Planning workshop, being delivered in the UK on 27 & 28 April, and 29 & 30 June 2010. (And don’t forget that I deliver HCI’s Human Capital Strategist workshop in the UK too (and across Europe - but only to in-house teams) – this also includes a session on workforce planning). In this show, I talk to Christoffer Ellehuus, the MD, EMEA for the Human Capital practice at the Corporate Executive Board / Corporate Leadership Council about the development and role of the strategic HR function. 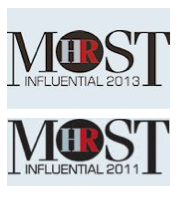 We focus in particular on their research into the HR - line manager relationship. Together with Gareth Jones (@garelaos), I’m organising a tweet-up for UK HR people in London on the evening of 29th March. You’ll find details at http://connectinghr.eventbrite.com. If you’ve not come across the term, a tweet-up is simply a meet-up of people using or interested in Twitter and social media. And since some people have been confused, it is a real-life, vs a virtual meeting. As far as we know this is going to be the first UK HR tweet-up outside of a particular even (eg the CIPD conference last year) or a particular sub-function of HR (eg recruitment). The event is open to all practitioners and suppliers working in HR, but we want it to focus on practitioners working in companies rather than just suppliers. 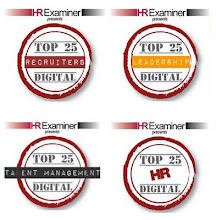 We already have people booked representing Recruitment, L&D, OD, Internal Communication etc. And from Betfair, KFC, London Overground Rail, Sky, Thomson Reuters and Virgin Media – and a couple of other organisations too (which I don’t know as these HRDs blog and tweet anonymously) – as well as ‘currently unemployed’. We’ve also got a good list of names that you’ll recognise if you are on Twitter – as I’ve been pre-inviting the people that I’d want to see attending if I was still an HR Director, and was interested in (but not necessarily using) social media. These are the people who can explain to you what social media is all about (and will just be interesting people to meet up with and have a drink with too). So if you do work in HR inside a company, and are interested in social media, do please book up (if you can’t attend the date, contact me so I can invite you to future meetings). Are already using Twitter quite extensively. To meet this condition, you will probably have your own Twitter address rather than using your companies (or at least your Twitter bio will identify you as the person behind your tweets). You’ll tweet at least a few times a week, and not always about your products, research or events. Agree to get at least one in-company professional to register and attend. Agree not to do any selling! We are going to be quite robust in applying these conditions – and I’ve already had to go back to more than one person on the list for more input before confirming their attendance. It’s not that I’m against suppliers (clearly), but in order to ensure the value for in-company practitioners and suppliers alike, we need to ensure that the majority of people attending come from HR itself.